Education was a universal phenomenon and happened throughout human life. Especially in the success of achievement, student learning achievement was still relatively low today so that it could affect problems in student psychology. Factors that affected learning achievement were self efficacy. The purpose of this study was to prove the correlation between self efficacy and learning achievement in Elementary School 1 Krian Sidoarjo District. The design of this study was correlational with a cross sectional approach. The population was all 6th grade elementary school students as many as 54 students which used total sampling techniques and sample 54 respondent . The independent variable was self efficacy and the dependent variable was learning achievement. Data was taken using questionnaires. The results showed that 28 people (100%) of the 54 respondents, most of them had high self efficacy and satisfying learning achievement. This showed that H1 was accepted which meant that there was a correlation between self efficacy and learning achievement in Elementary School 1 Krian, Sidoarjo District. A good self-efficacy from oneself could affect his learning achievement. People who had high beliefs with their abilities tended to succeed, while people who had low beliefs with their abilities tended to fail. Bandura, A. (2013). Self Efficacy- The Exercise Of Control,. New York: W.H.Freeman and Company. Janatin, M. (2015). Hubungan Antara Self Efficacy Dengan Prestasi Belajar Siswa Kelas Iv Sd Se-Gugus Ii Kecamatan Bantul Tahun Ajaran 2014/2015. Jatisunda, M. G. (2017). Hubungan self-efficacy siswa SMP dengan kemampuan pemecahan masalah matematis. Theorems (The Original Research of Mathematics), 1(2). Klinis Dan Kesehatan Mental, 1(2), 52–58. Latipah, E. (2010). Strategi self regulated learning dan prestasi belajar: kajian meta analisis. 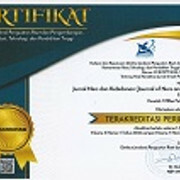 Jurnal Psikologi, 37(1), 110–129. Nursalam. (2013). Konsep dan penerapan metodologi penelitian ilmu keperawatan. Jakarta: Salemba Medika. Slavin, Robert, E. (2008). Psikologi Pendidikan Teori Dan Praktek Eisi Kedelapan. Jakarta: PT Indeks. Jakarta. Warsito, H. (2012). Hubungan antara self-efficacy dengan penyesuaian akademik dan prestasi akademik (Studi Pada Mahasiswa FIP Universitas Negeri Surabaya). 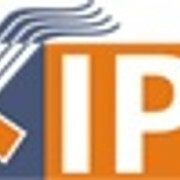 Pedagogi: Jurnal Ilmu Pendidikan, 9(1), 29–47.